This year's contest is now closed. Check back in November 2021! 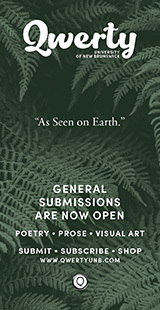 The Malahat Review invites entries for its biennial Long Poem Prize, for which two awards of $CAN 1000 each are given. 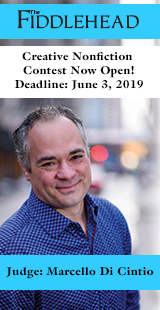 The contest is open to Canadian and international writers anywhere in the world, with an extended deadline of midnight (PST) on 5 February 2019. All entries are judged anonymously, and the two winning poems will be published in the magazine's summer 2019 issue. 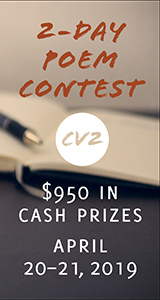 This contest is offered every second year, alternating with the Novella Prize. Poets contributing to The Malahat Review’s contests have also won or been nominated for National Magazine Awards for Poetry and the Pushcart Prize. The extended deadline for the Long Poem Prize is February 5, 2019 at midnight PST. Read about our 2017 winners: John Wall Barger and Délani Valin. Read about the judges here. Get inspired! Read interviews with Jordan Abel, Sonnet L’Abbé, and Gillian Sze to see what they're looking for in a winning long poem. In addition to the $2000 in prize money, we're giving away poetry books to one lucky contest entrant! 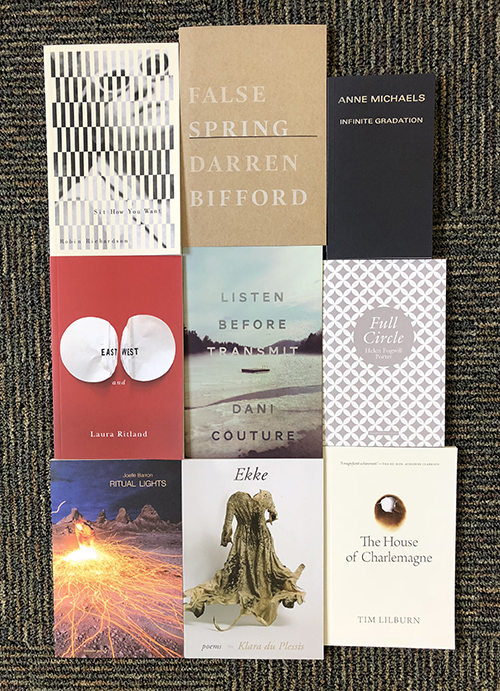 All you have to do is submit your work to the contest, and you'll be automatically entered to win all nine books seen here. There are no restrictions on subject matter or aesthetic approach. 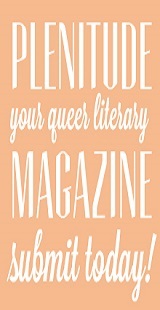 Collaborative long poems by two or more authors are eligible. All entries are judged anonymously (no identifying information is to be included on any poem submitted). Multiple entries are allowed (at a reduced fee, if paid for at the same time as the initial entry: see Entry Fees, Additional Entries, and How to Submit below). Please note that entrants who submit more than one long poem to the contest in the same year may be shortlisted for only one entry and may win only one of the two prizes. See How to Pay (below) for detailed instructions. Entrants receive, for themselves or a friend, a one-year print subscription to The Malahat Review (for the initial entry only; no subscriptions are available for additional entries made along with the initial entry). Digital subscriptions and digital/print bundle subscriptions are not available through any of the magazine's contests. To receive the reduced entry fee(s) of $CAN 15.00, any additional entries must be paid for at the same time as the first entry; such additional entries should be submitted online within 24 hours of the initial submission. The same guidelines apply to additional entries as to the initial submission. No work already published (even if only excerpted, or even if revised since original publication), already accepted for publication, or simultaneously submitted elsewhere is eligible for consideration. The Malahat Review considers any appearance in print or online to be a publication, whether the form of publication be a newspaper, newsletter, magazine, anthology, chapbook, book, website, personal website or blog, Twitter, Facebook, or other suchlike forum for public circulation. This restriction on eligibility applies regardless of the size of the print run or the extent of the circulation of previously published work. Failure to comply with these criteria for eligibility will immediately disqualify any entry, regardless of when the ineligiblity is discovered in the process of adjudication (submission, processing, screening, shortlisting, final judging). The entry fee for a disqualified entry will not be refunded, and the entrant will still receive a one-year subscription to the magazine. The two winners will be notified by email. Other entrants will not be notified of the judges' decisions. 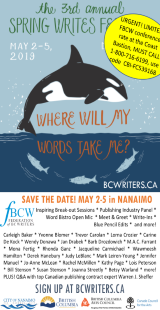 The shortlisted finalists will be announced in late March 2019 on The Malahat Review's website and social media accounts. The two winners will be announced in April 2019. Both winners will be interviewed, and the interviews will be published subsequently on The Malahat Review's website, and in the May or June 2019 edition of Malahat lite, the magazine's monthly e-newsletter. The two winning entries, and only the winning entries, will be published in the Summer 2019 issue of The Malahat Review. Payment must be made online through The Malahat Review Store (if you do not have a credit card, you can pay by cheque or money order: see below). Unless you are paying by cheque or money order, you must pay the entry fees before making your submission, since you must include your ORDER # with your submission. If you are unable to pay by credit card, you can mail a cheque or money order (made out to The Malahat Review) in $CAN or $US to The Malahat Review, McPherson Library, University of Victoria, PO Box 1800, Stn CSC, Victoria, BC, V8W 3H5, Canada. If paying by cheque or money order, you must indicate "cheque" or "money order" as required on the submission form. Online payments will not be accepted after the contest deadline (if you have any problems with such payment, please write to malahat@uvic.ca). Payment by cheque or money order must be mailed with a postmark date of no later than 5 February 2019. Go to our online store to pay your contest fee(s). Only online submissions made through The Malahat Review's Long Poem Prize portal on the Submittable website will be accepted. Acceptable file formats: Word (.doc or .docx) or PDF only. If paying by credit card, you must pay before you submit, since you will be asked to provide your ORDER # with the submission of each entry. If paying by cheque or money order, you will be asked to specify which form of payment with the submission of each entry. You can make only one entry at a time on the Submittable webpage; to submit additional entries, whether at the reduced rate (paid for at the same time) or at a standard rate, simply follow the same process as with the initial submission (the ORDER # will be the same for additional entries paid for at the same time as the initial submission; it will be different for an entry or entries made at a later date, since these require the full fee). You can SAVE a DRAFT of your submission before clicking on the "SUBMIT" button (at the bottom of the page) to make the actual submission. Read about Maggie Schwed two years post-win: "If the Muse is Kind: Linda Rogers in conversation with Maggie Schwed"
Read about Julie Joosten two years post-win: "To Write Restlessly: Tyler Laing in conversation with Julie Joosten"